West Village at the river! 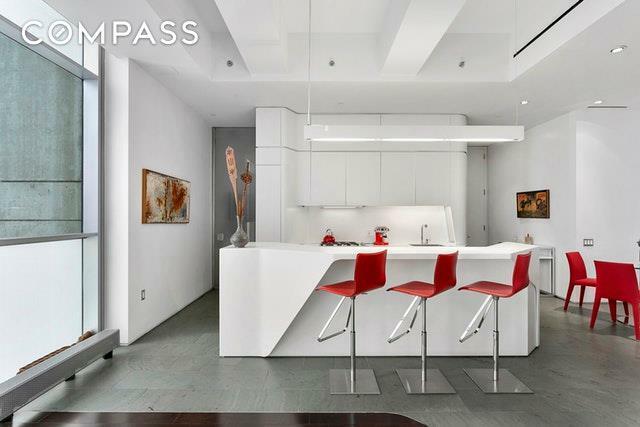 Introducing residence 6C, a magnificently perched two bedroom, two bath corner condo unit with direct Hudson River views at iconic 166 Perry Street. 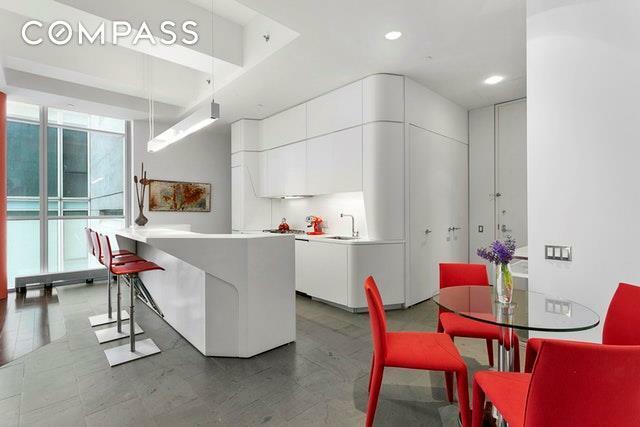 This light filled spacious apartment features floor to ceiling windows, western and southern exposures, dramatic twelve foot beamed ceilings and breathtaking design throughout by highly revered Asymptote Architecture.Grand scale living and entertaining. 27x13 great room with beautiful floor to ceiling windows. 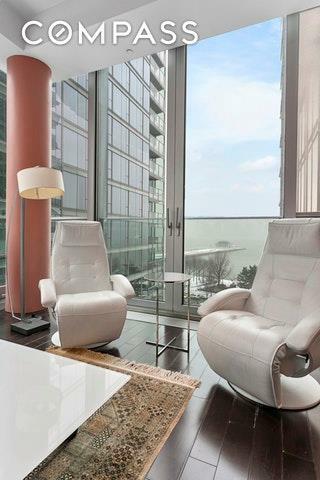 Two walls of glass curtains allow for scenic western exposure RIVER VIEWS and beautiful southern exposure CITY VIEWS. The open kitchen is the epitome of custom designed cabinetry and counter space. Miele and Sub Zero appliances, wine storage and Franke and Dornbracht fixtures are incorporated seamlessly into the design. Kitchen features beautiful honed Vermont green slate flooring. Storage is never a problem when your kitchen features a 5'3"x12'3" scullery walk in storage space. Off the kitchen is a perfectly adorable breakfast nook. Laundry closet with washer and dryer is located off the hallway.The large master suite features floor to ceiling south facing windows, two large closets and beautiful wenge wood flooring. The ensuite master bath features radiant heated floors, custom designed vanity, deep soaking tub and shower with Tara Classic chrome fixtures.The second bedroom features two floor to ceiling sliding doors, one off the living room and one off the adjacent hallway creating either an en suite bathroom or a hall accessible bathroom used by guests. Second bathroom also features radiant heated floors.166 Perry is a design masterpiece featuring just 16 residences in a full service building with a fitness center and private storage. 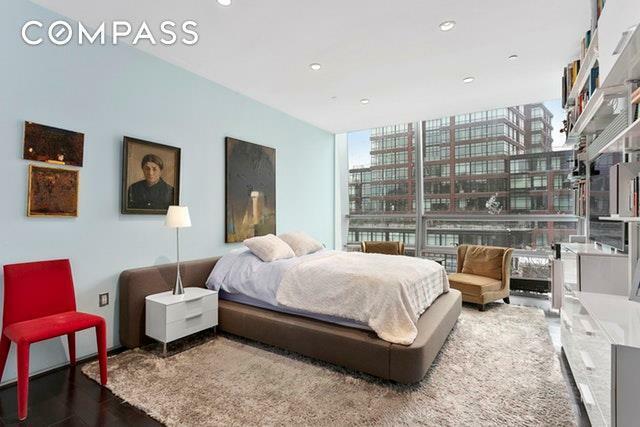 Perfect Village setting on cobblestone Perry Street, half a block from Hudson River Park, just a short walk to the Whitney Museum and the High Line. Listing courtesy of Jon Varnedoe of Compass.